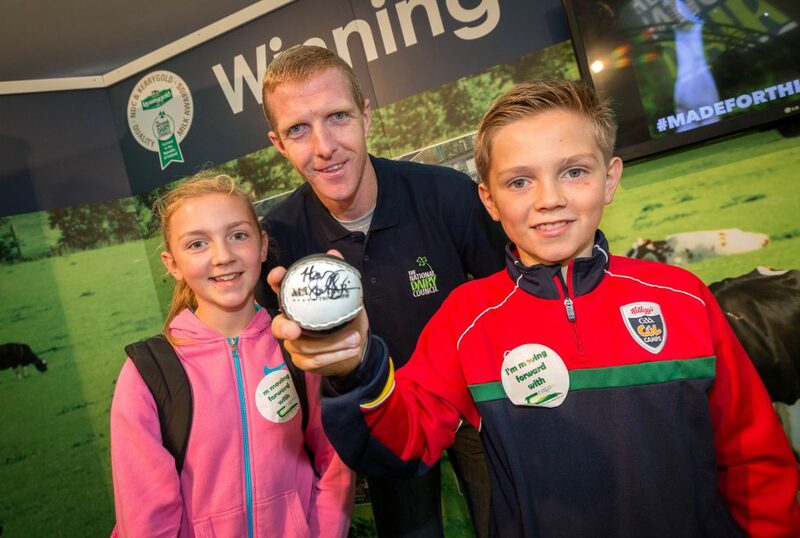 Henry Shefflin with Caoimhe (13) and Colm (11) Carroll from Fermoy Co. Cork. 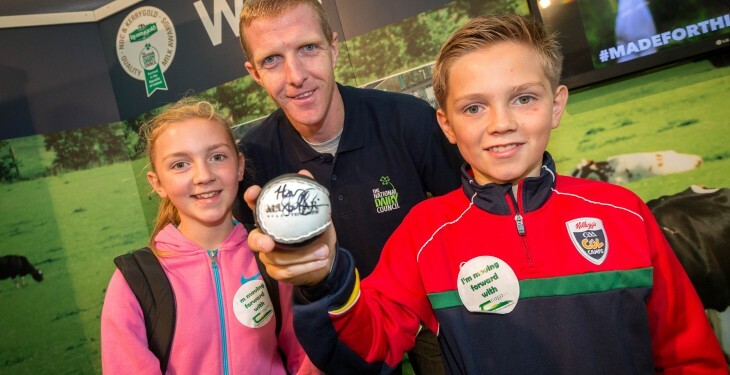 Diet is so important and it made Henry Shefflin a better player, he told Agriland at the National Ploughing Championships this week. He was supporting the announcement of 13 of the country’s top dairy farms which are shortlisted to compete in the national finals of the NDC and Kerrygold Quality Milk Awards. The 10 times All-Ireland winner will be presenting the prize to the top dairy farm when the results of the national awards are announced on October 20 this year. “When I started back in 1999, there wasn’t as much emphasis on diet. Now I realise that diet is so important and it’s made me a better player. “You need to have balance in your diet,” said Shefflin, whose father is a beef farmer in Kilkenny. And when it comes to tractors the Ballyhale man said that his favourite would be a John Deere. Congratulating the national finalists, Shefflin said that when you aim for a high standard it means taking on a commitment to work progressively and consistently, looking at ways to improve and sustain what you’re doing. “The finalists in the NDC and Kerrygold Quality Milk Awards demonstrate a keen interest in adopting up-to-date best practices, combined with strong characteristics such as pride in preserving their family heritage and in doing the job right,” he said. Recently appointed NDC Chairman, Teddy Cashman, a dairy farmer from Co. Cork, explained that co-ops throughout the country are invited to nominate their best dairy farmers for the national awards. “The 13 shortlisted farmers are put through an intensive scrutiny by the judges involving rigorous inspection of milk quality reports and technical data about their herd spanning a full 12-month period,” he said. You can see the 13 farms up for the award here.